Click Status and Workflow in the left sidebar. You can rename the standard statuses and add additional statuses as needed. 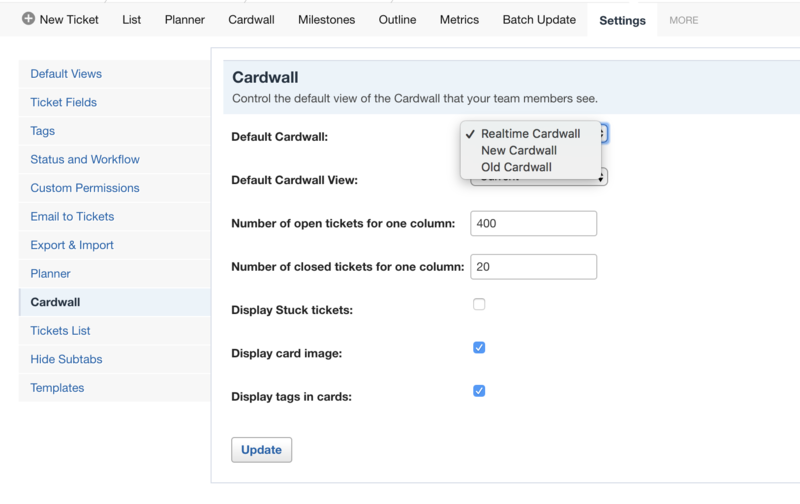 You can rearrange the order of your workflow by simply dragging and sorting the the ticket status displayed in this page. You could also edit the status names DIRECTLY from your cardwall. Simply click on the status (column name) and customize it to fit your workflow. Note: Statuses that are currently being used by tickets can't be deleted.